The body and cap are made of a [technically] biodegradable celluloid derivative designed for a lifetime of use. The large stainless steel nib is a Flex nib, and has a “Noodler’s Ink Co.” marking. 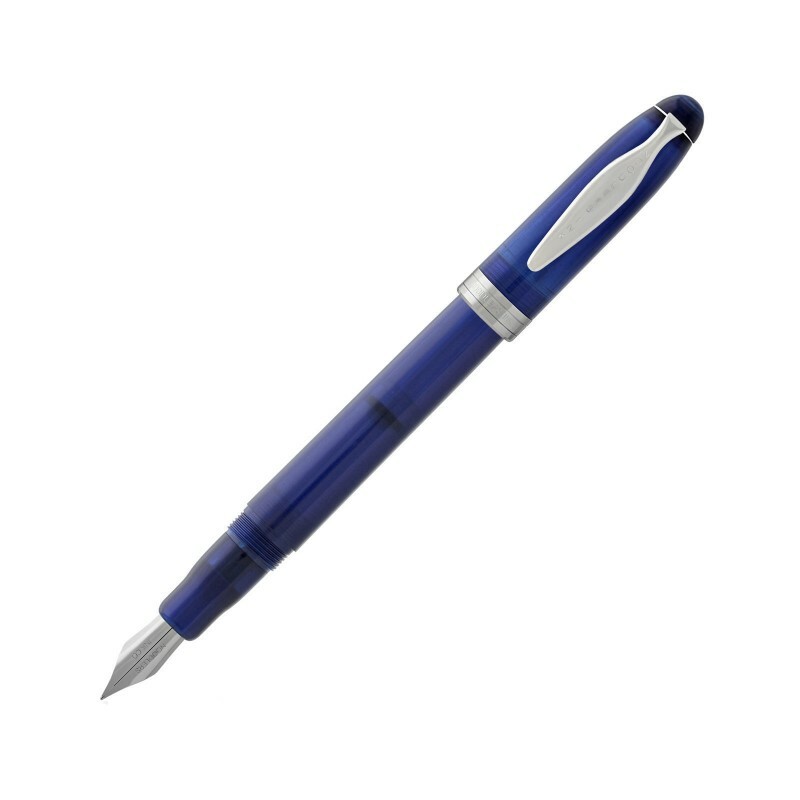 The pen fills a large ink chamber with a plunger action allowing the use of any of Noodler’s many inks. The ebonite feed can be removed for cleaning – and can be easily modified for artistic uses. The nib feeds more ink as it is flexed - the "auto-vent flex" opens the air passage to the feed far more than a conventional nib is capable of. A light touch at 45 degrees can produce a hairline to 1.5 mm (0.0906 inches, or a little under 3/32”). The speed of writing with a fully flexible nib should be adjusted to suit the flow of each ink type used (some inks will flow faster than others). Slower writing may be necessary if one is writing Victorian style script vs. fine shorthand - which can be written more rapidly. The pen comes with an imprinted Noodler’s card-stock box and detailed instruction sheet.